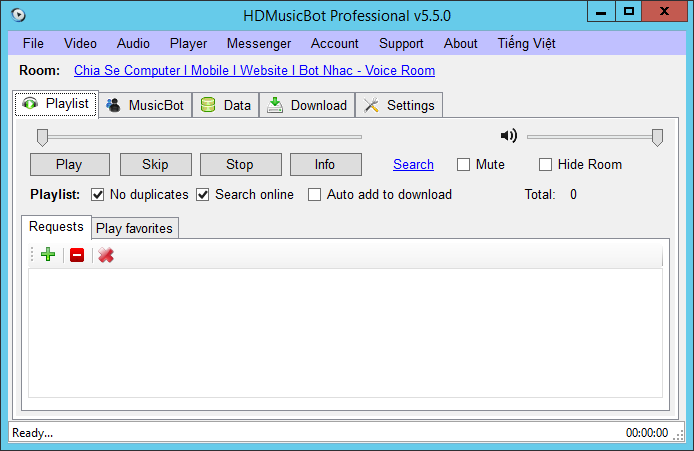 HDMusicBot is a free light weight multimedia player that plays and supports a wide variety of audio and video formats (mp3, wma, mpeg, flv, flac, etcs...). It also comes with a streaming server that enables you to stream media. HDMediaPlayer provides a simple, straightforward interface with standard playback controls. HDMediaPlayer allows the user to organize your medias and store into a database for better searching. 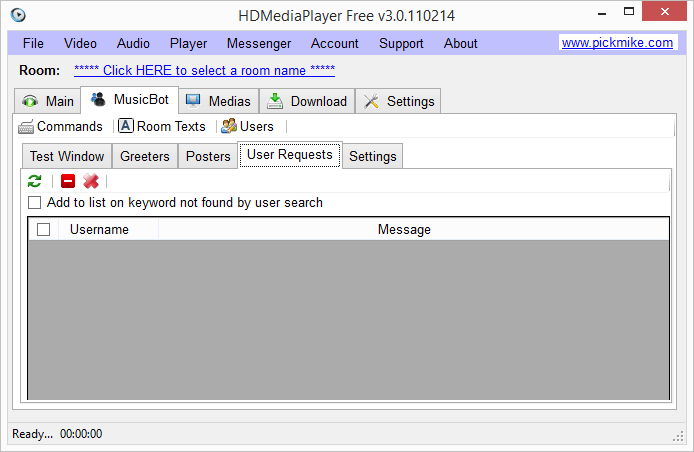 HDMediaPlayer integrated as a MusicBot for messenger such as: Paltalk Messenger, where you will be able from the room to send commands to the bot so the bot does things which you want it to. A user in your chatroom can request for a media in your list. HDMediaPlayer runs on Windows XP, Windows Vista, Windows 7, Windows Server 2003 and Windows Server 2008. 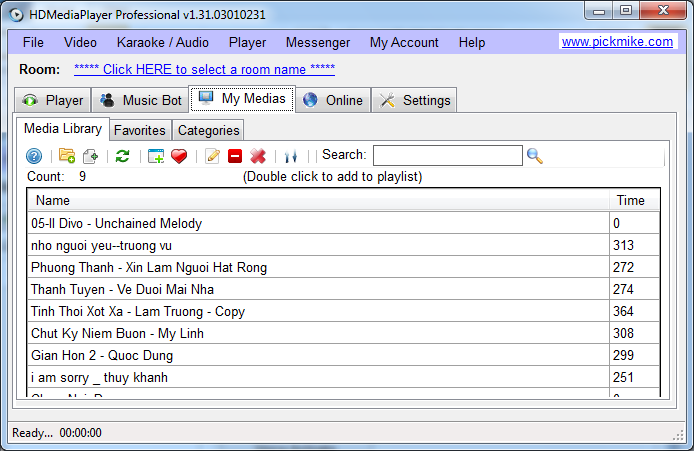 TKaraoke is FREE. Download it here.